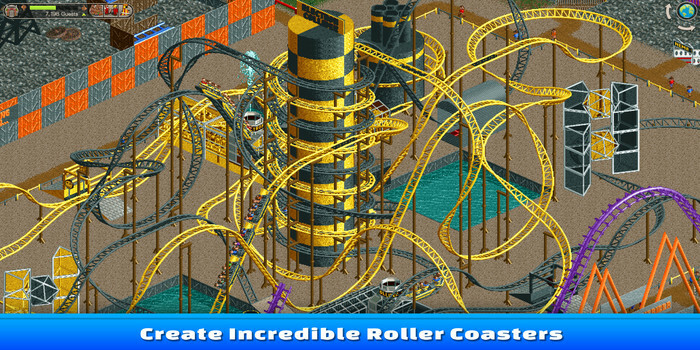 Roller Coaster Tycoon has had some ups and downs throughout the years, but when RTC Classic made it debut on smartphones, the developers at Origin 8 Technologies had captured the long lost magic of the series’ pedigree. Now, the game has come to PC and it proves once and for all that RCT belongs as a PC staple for years to come. 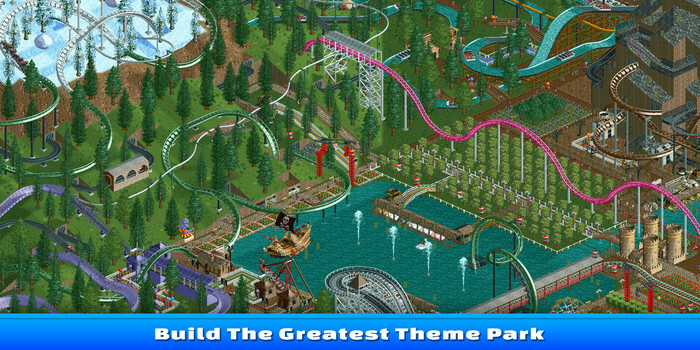 Roller Coaster Tycoon: Classic is a prime example of what to do when creating a repackaging of a classic game series. As a long time fan of the series, I found myself overwhelmed with the sheer amount of content here. The classic game-play that I grew up with remains mostly unchanged from what I remember, but that is not a bad thing. This is a very good thing, especially for those looking to get back to the basics and build incredibly intricate theme parks. Right off the bat, you are given an insane amount of park types to choose from: from tropical adventure theme parks to industrial parks. We are talking about 90+ different theme part scenarios to choose from here. This game literally combines Roller Coaster Tycoon and Roller Coaster Tycoon 2 and holds nothing back. If you have played the series before you should feel right at home; the park builder is robust and intuitive, but hides many secrets under its many layers of customization. It is hard to articulate what RCT does right without comparing it to its contemporaries but the basic game-play is that you place games, rides, food stands, bathrooms, and decorations to create a happy place for your guests to spend their hard earned money. The loop is simple, the happier the guests, the more will show up and the more that show up, the more cash you have to continue to upgrade. The first 2 hours or so of each match is largely the same every time. You have guests that couldn’t care less about your park, but with every upgrade you get bigger and better. There are some challenges you will face like placing building in areas that become less functional as you have more rides spread across bigger spaces, but that is the rub when it comes to these games. You have to think ahead just as much as in real time. This repackaging isn’t perfect, however. One of my gripes with this game is that there isn’t a mode to change the graphics from the classic 1997 graphics to something more pleasant on the eyes. I feel like that would have added a nice level of polish and really make it stand out. While the game runs way smoother than it ever did back when I played in the late 90s (which is still impressive given just how much is going on on the screen), i still found that moving around can be a little cumbersome. This game is clearly not an evolution of the concepts of the series. It is a nostalgia trip that can end abruptly if you come in wanting a fresh experience. Overall, RCT Classic does exactly what is advertised, and not much more than that. This game proves that the franchise still has legs. The classic game-play is as addicting as it ever was, but the lack of modern features and style make this just shy of a true home run. If you love this franchise, or loved it in the past, this game brings it back to what you fell in love with to begin with. For $20, this is a no brainer for fans. Those of you who might be on the fence about giving the genre a try may be turned off by its decades old game-play and visual style. 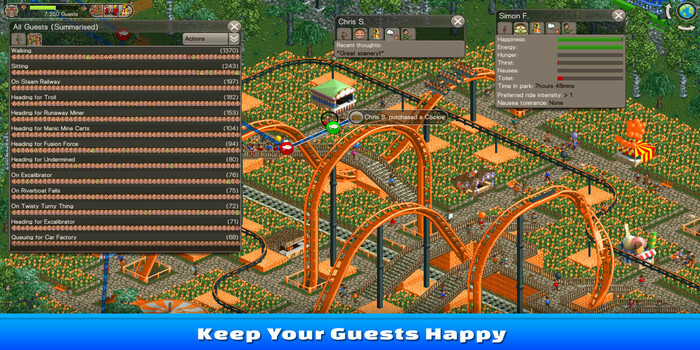 Proven Gamer was provided a copy of Roller Coaster Tycoon: Classic for review on Steam.